If you live in a cold climate like Minnesota, I recommend plastic. Why would someone want metal? It gives you a smooth interior, which means less air turbulence, which means more airflow. The end. That's the only benefit that I can think of. 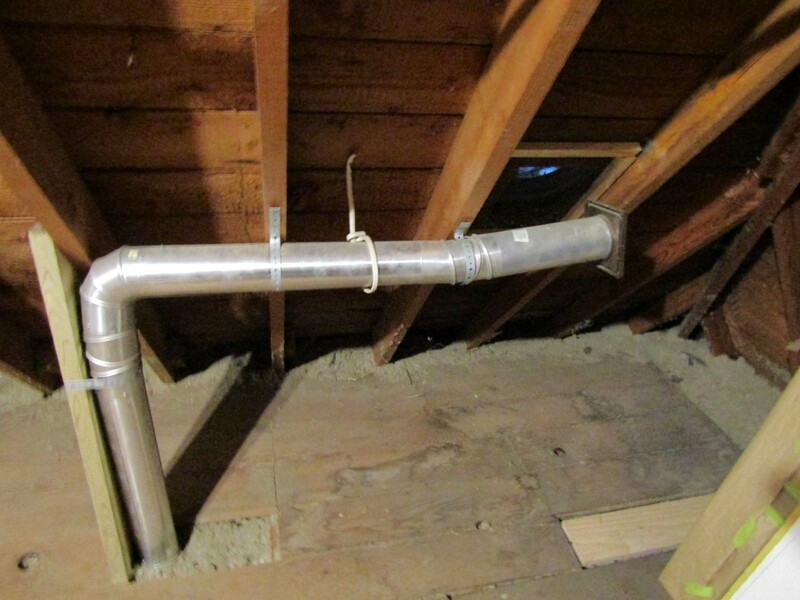 The downside to using a metal duct is that metal is an excellent conductor. The metal will be continuous all the way to the bath fan terminal, which means you'll have a very cold duct during the winter. This leads to copious amounts of condensation, which leads to stains at the ceiling. It doesn't matter if the duct is insulated or not. 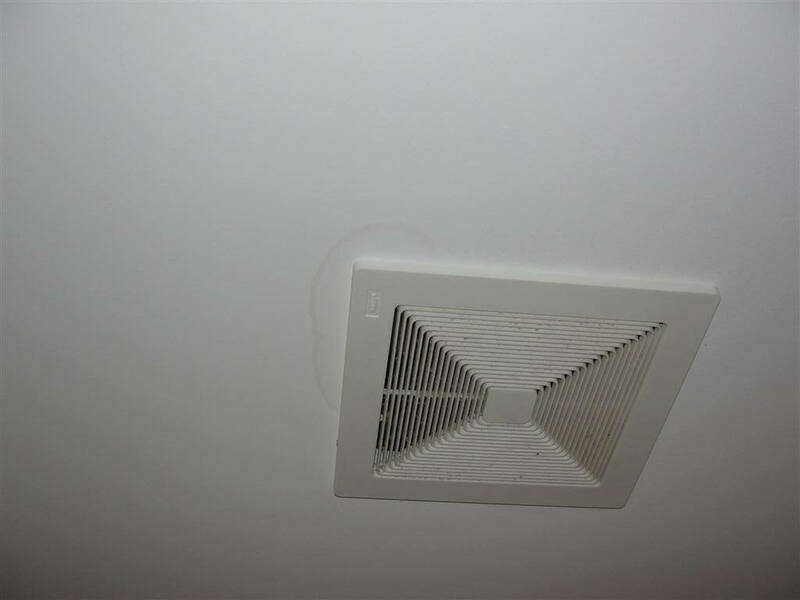 With a plastic, insulated duct, you'll still get some condensation inside the duct, but not nearly as much as you'd get with metal. For this reason, plastic is just about all that's ever used in Minnesota. 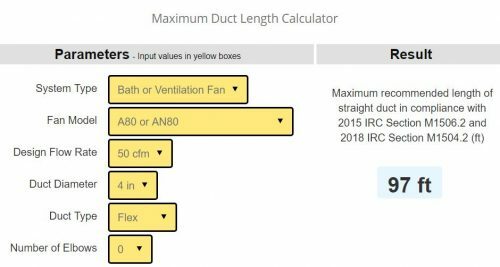 Just plug in the fan you're using, what your desired flow rate is, and what type of duct you'll use. They'll tell you how long of a run you can have. The minimum required flow rate is 50 CFMs.